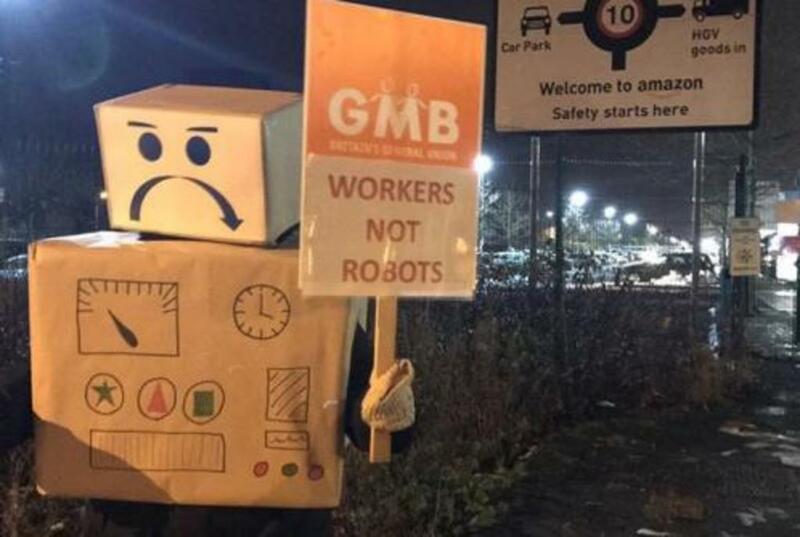 More than 440 serious health and safety incidents at Amazon warehouses have been reported to the Health and Safety Executive since 2015/16, a GMB Union investigation has revealed. The responses received by GMB suggest that Amazon could face local authority enforcement action. One local authority, Central Bedfordshire Council, refused to release copies of correspondence with Amazon on the grounds that: "Disclosing [this] information may prejudice an ongoing investigation and/or future enforcement action." General secretary at GMB Tim Roache said, “Amazon bosses are burying their heads in the sand but no amount of spin or an expensive PR agency can get around that fact that these official figures give a horrifying insight into their warehouses - no one should go to work worried about being knocked unconscious or breaking bones. “Amazon is treating workers like robots, not humans. “This is a multi-billion pound company owned by the richest man in the world. You have to ask yourself whether it’s a deliberate decision to sacrifice safety to keep the bottom line growing, because I can’t see why else you’d tolerate these conditions. “Amazon won’t even let GMB Union through their gates, despite the fact we have hundreds of members working inside. If Amazon is so confident they're doing right by their workforce, why are they worried about talking to us? “A supposed 21st century company, Amazon is guilty of behaving like a 19th century mill owner, putting its workers at risk in pursuit of profit. “This cannot go on because deaths in Amazon will surely follow.